Coming this fall to PC, Mac, Linux and tablets everywhere, Spicy Horse's (thankfully) tentatively-titled Hell Invaders brings collectible card games to life in full 3D real-time strategy battles. It's sort of like EA's BattleForge, only — okay, it's pretty much BattleForge. While I'm sure there'll be elements to the CCG/RTS from American McGee's studio that are completely different from EA's CCG/RTS, right now it's looking a lot like the same game, only different. 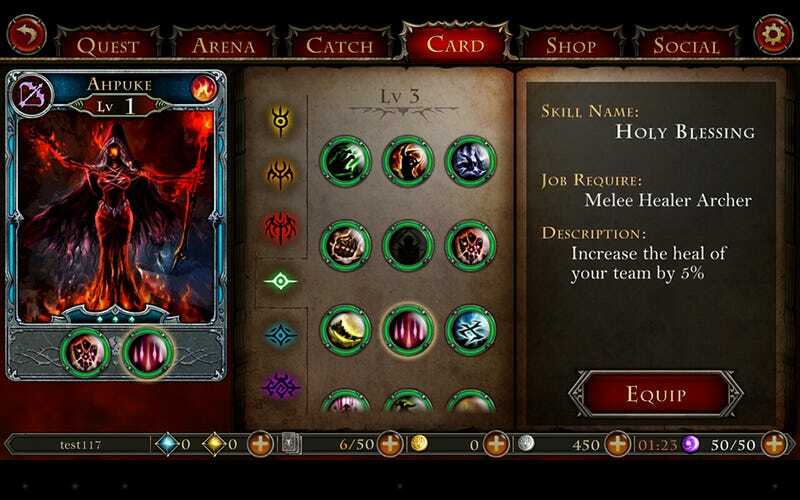 Players collect, trade and upgrade cards, battling them in player-versus-player arenas or through a single-player campaign mode. Now I'm not complaining. There's always room for more collectible card-time strategy games. Plus, Spicy Horse hasn't revealed the game's final title or publisher yet — for all we know this could be Battle Forge 2. Spicy Horse remains mum about further details for the time being, so we'll perch outside their window and stare creepily inside until they decide to tell us more. In the meantime, screenshots!